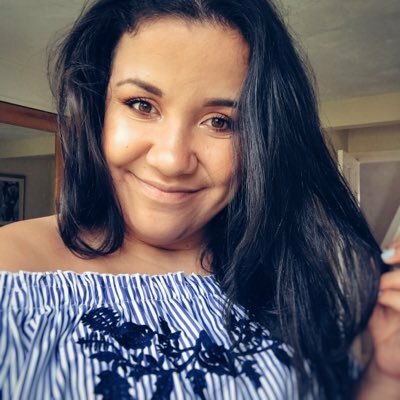 Being a dark haired lady since my early teens I’ve shaved every few days. As I’ve got older technology has advanced and for some bizarre reason I’ve never really invested in getting myself a good shaver. 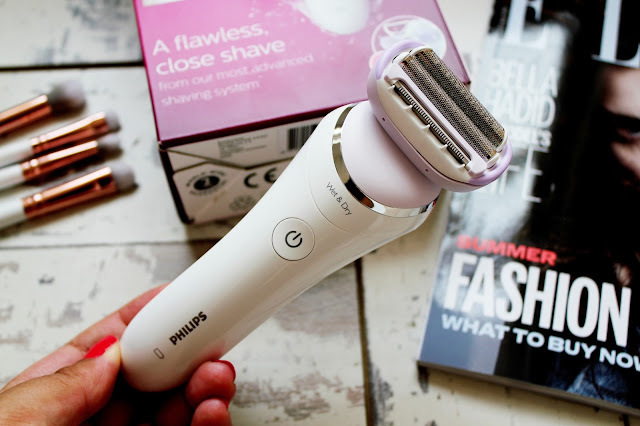 Then the Philips Satin Shave Prestige came into my life and I’m a little bit obsessed with this. I’ve had this about a month now and so I’ve really had the chance to try and test this product out to the full. 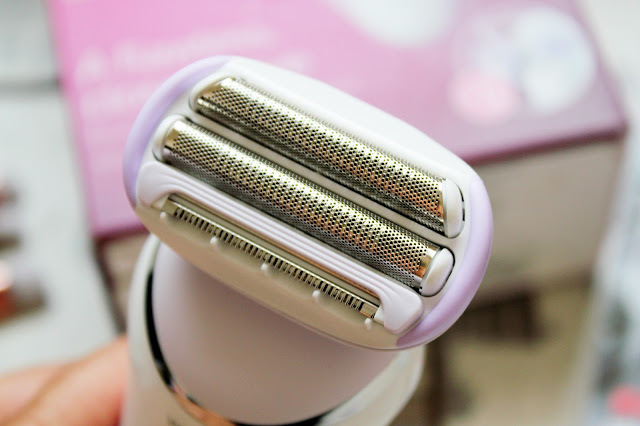 I am absolutely LOVE using this shaver on my legs and I’m so impressed with the results. This shaver is so easy to use and super convenient to charge up too. I prefer using this on dry skin rather then in the shower but you can use this shaver wet or dry. The best way I find to use this shaver is dry on my legs. I find that this gives me silky-smooth skin without my skin feeling irritated afterwards. 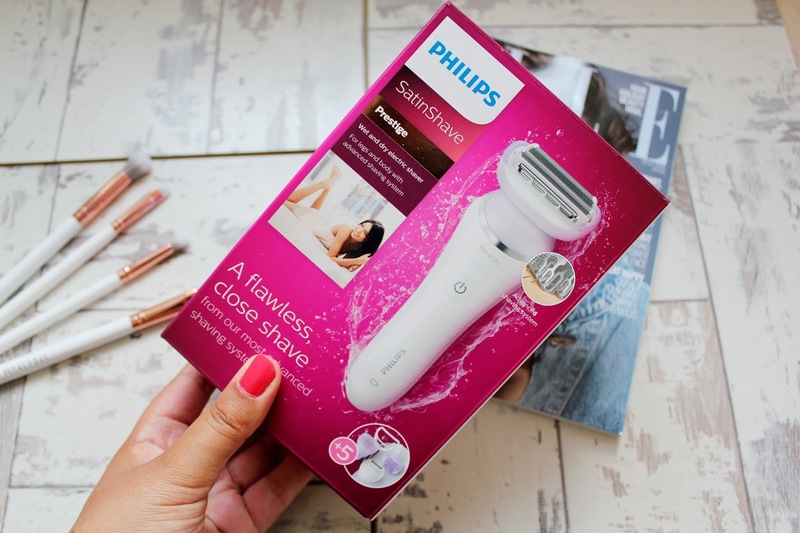 The SatinShave Prestige is designed with Philips most advanced shaving system for the closest ever shave and includes a multiflex head with dual foils to catch those missed hairs. I really like the pearl-tip trimmer and safety bars as they protect your skin from scratches too. I’m someone who has always cut myself shaving and since using this, my skin has never felt smoother (and I haven’t cut myself). I still use a normal shaver on the odd occasion on my lady area and my underarms as I find the smaller head attachment doesn’t achieve as good results as the normal head attachment. However I tend to just use a normal shaver when I’m in a rush, or when I’m less time restricted I use the smaller head attachment to shave my other areas with. For the best results with this shaver you need to go over the area a few times but it is SO worth it as you don’t have to shave as often after using this shaver. 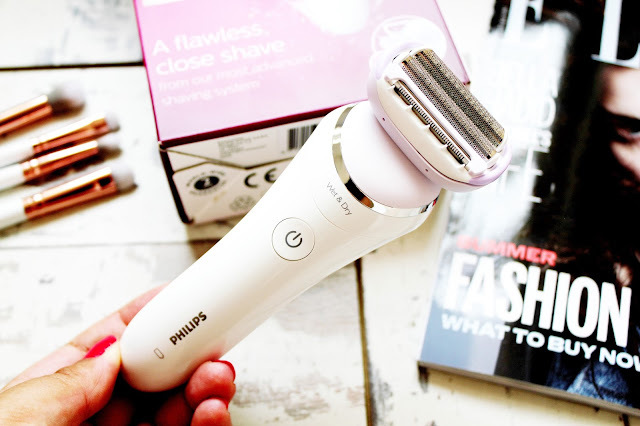 Also with the pearl-tip trimmer makes it so easy to achieve soft skin after shaving! 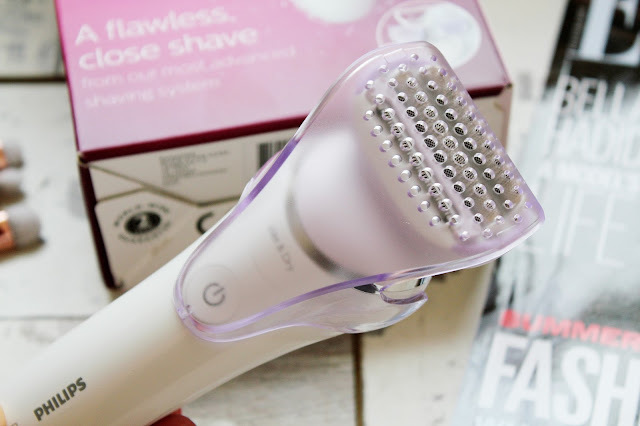 Since having this electric shaver, shaving has never been so convenient for me as I don’t always have to go in the shower to shave my legs (you also don’t need shaving foam either!) I am so impressed with this and I’d highly recommend investing in an electric shaver as I go through regular ones so quickly. I think shaving is something that's so easy to not invest in, despite doing it every day or a few times each week. 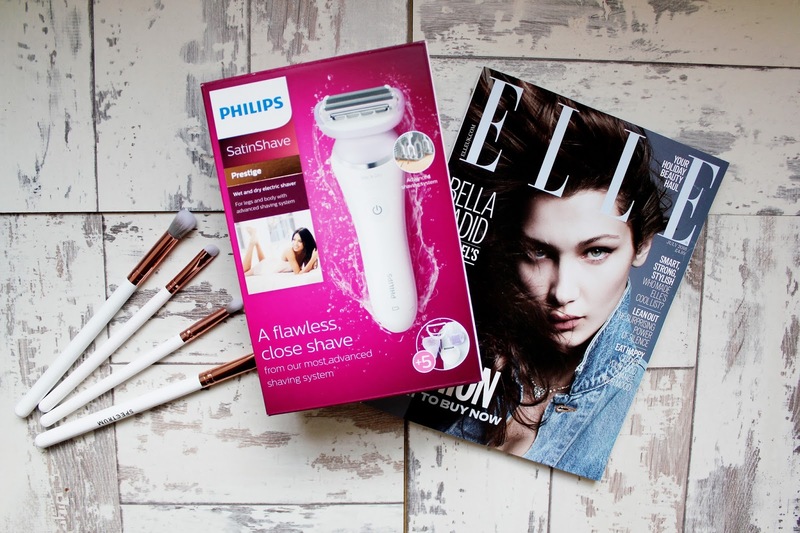 It is well worth investing in a good shaver like this one as it doesn't only leave your skin soft, it saves you money on shaving foam, buying shavers every few months AND you don't have to shave as often so this product is a total winner! The Philips SatinShave Prestige Wet and Dry Electric Shaver retails at £70 and you can buy this through the Philips website here.